Adapter for attaching to 3-point tools. Skid Steer mounted 3-point hitch adapter with hydraulic powered PTO. Lifting device to allow hydraulic excavators to utilize crane friendly attachments i.e. magnets. Skid Steer or Wheel Loader attachment for mixing or aerating various materials. Asphalt cutting attachment for bucket or moldboard or for skid steer Q.C. mounting. Road Hog self-contained milling attachment for skid steer loaders. Attachment used to move/stack round or square bales and other materials. NOTE: It may be preferable, in certain applications, to use a high-dump bucket attachment. See category – Bucket, High Dump. The Paralift boom design allows an upward and forward movement of the load without exceeding lifting capacity. Broom/Sweeper with a vacuum dust abatement system that significantly reduces visible dust w/o the need for water. Add-on bucket edge to save wear on the integral bucket edge. Add-on grapple to convert a standard bucket to a grapple bucket. Adapter/Coupler to provide 180 degree bucket rotation. mulch or small gravel to the side – – – like for road shoulder maintenance. It can also be used to fill sand bags. Attachment coupler incorporating “Anti-Shock” technology to absorb 97% of the hydraulic breaker recoil shock. Attachment coupler for excavators, wheel loaders, & forklifts incorporating fully automatic hook-up of the hydraulic system. Attachment coupler for skid steer loaders and compact track loaders incorporating fully automatic hook-up of the hydraulic system. high impact energy from a free-fall weight. Attachment designed to facilitate the excavation of soil around gas transmission lines for periodic maintenance. On-Board fire detection & suppression products for construction equipment. Attachment constructed for extra heavy duty applications featuring over 3.5 tons of crushing force. H & L Tooth Co.
Nye High-Lift brackets provide the extra ability for the operator to reach higher and perform moderate to high teardown/demolition jobs.Simple bracket welds to underside of the boom; The cylinders can be switched to operate in either the factory or Nye High-lift positions. Pierce long sticks are built to extend the reach of the excavator’s stick up to 50%. Unlike pin-on stick extensions or stick modifications which are best suited for short-term, light duty, and incidental work, the Pierce long stick is designed to precision fit to the excavator’s OEM standard main boom, stick cylinder, bucket cylinder, linkage, connection pins, and factory main boom plumbing. Round cutter for removing road material from around a manhole in preparation for the removal of the manhole. The round hole diminishes the future fracturing from the hole site. attached to the moldboard for Q.C. Material spreading attachment either broadcast or drop style. 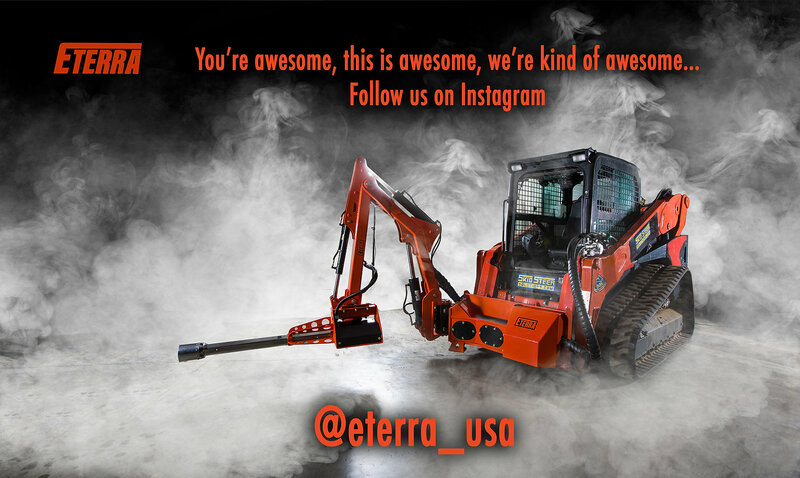 Join our mailing list to receive reviews of unique construction attachments.